Now, here is another alternative. 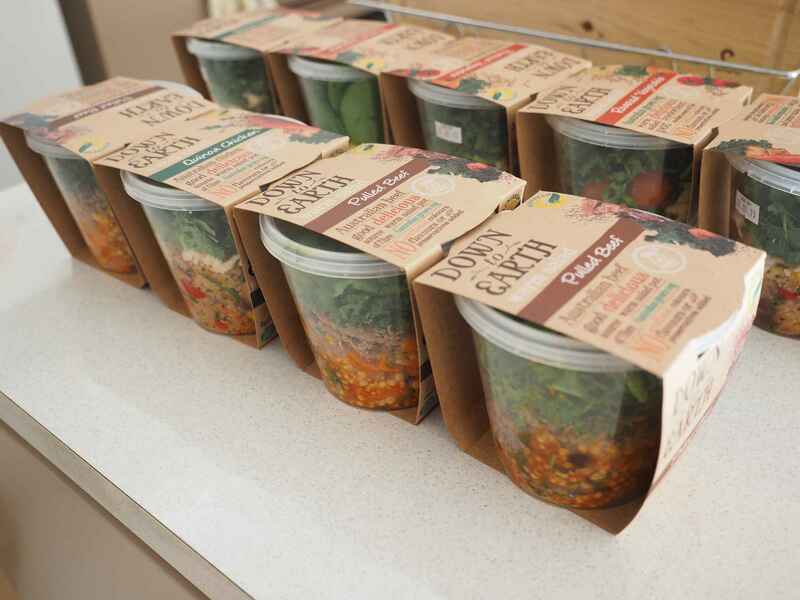 A local South Australian business operating from 1990, Sunfresh Salad, has created a winter warmer – warm salad pots. Over the last 20 years, the business has focused on using freshest possible local produce to create imaginative salad with good flavours. The warm salad pots is something new this year just for the winter season but from what I can see this series will be suitable for all year round. The company is certified with HACCP, compliant with a number of quality control standards. 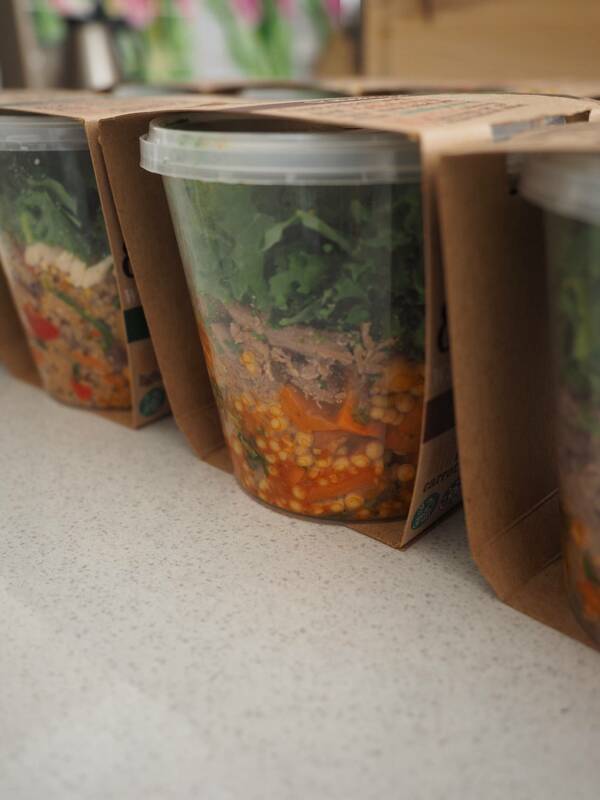 The salad consisted of 3 varieties – Pulled Beef, Quinoa Chicken and Roasted Vegetables. I first tried all of them cold. They were already quite good when served cold but I went on and tried the warm ones. Brilliant! My mind was blown away with the pulled beef. It tasted so good! The heating procedure is quite easy with the salad pots. I did not reheat with the plastic pot but used a bowl. The cap was quite easy to open. The best parts of the salad for me were actually the ingredients. There are heaps of ingredients in the salad and you can easily tell their freshness when served cold. The amount of ingredients is also a thumb up. Look at how much it is in a pot, with all the beautiful pulled beef and chicken and the fresh and healthy produce. 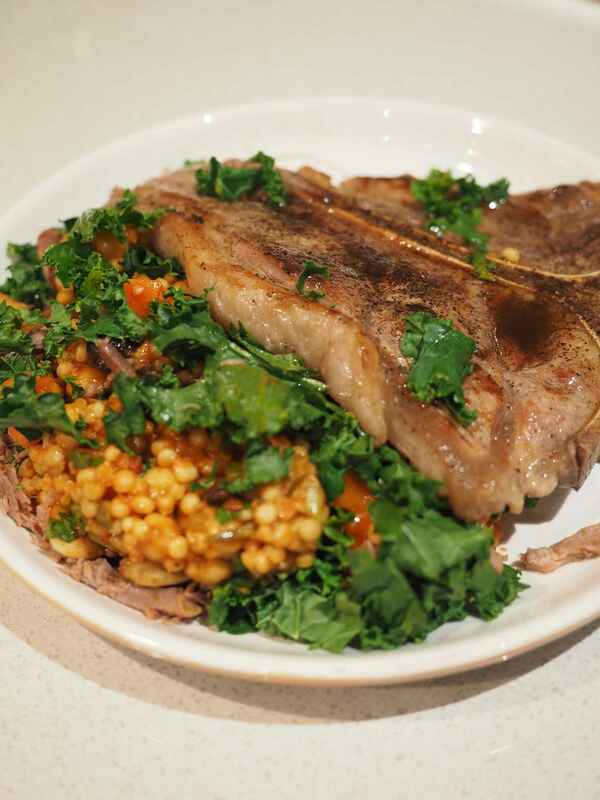 Below is a photo of my pulled beef salad served with beef T bone steak. Perfect match! The flavours of the pots are delish especially when served hot/warm because the meaty flavour has fully diffused into the salad, making it great on the palate. Unlike many other bulk salad producers, Sunfresh salads taste unique with each type. The pulled beef salads were heavy on flavour but the fresh greens have taken most of the beef flavours and make t pleasant and enjoyable. The hint of citrus flavour in the quinoa chicken is a perfect link for quinoa and chicken breast and promoted their flavours as a whole. The roasted vegetables are brilliant to serve with meat and has a hint of spiciness to complement a good shiraz. I even turned the roasted vegetable salad into a soup to serve with the above dish. Yummo! Down-to-earth Warm Salads are available in Woolworths. Disclaimer: The products were sent to Adelaidefoodies.com for review free of charge but the opinions are our own as always. Interesting review Xin and would be great when one needs to get dinner in a hurry during a weekday night! Thanks for highlighting the brand! Thanks Joanne :). I think as long as the ingredients are fresh, prepacked salad can be quite convenient.